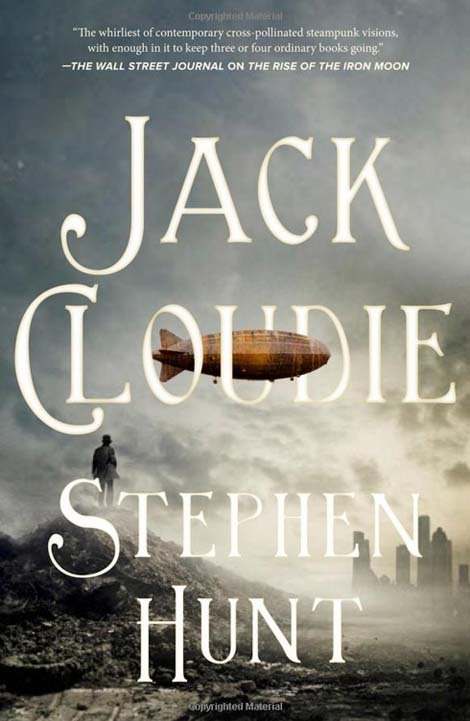 My US Publisher – Tor – is bringing out a hardback version of Jack Cloudie, the 5th fantasy novel in the Jackelian series (I call it a series, but they’re stand-alone novels set in the same world with a few shared characters, a la Terry’s Discworld novels or Iain M Bank’s culture books… as opposed to something like Game of Thrones or Lord of the Rings). It’s got great new cover art, and with the hardback format more or less dead in the water in the UK now, if you’re a completest collector like me, you’ll want to have this one in your collection. I get my copy free, though. You probably won’t. Sorry. I will have to keep an eye out for this. Any estimated time of arrival for the next installment of the Agatha Witchley series? I’m hoping to clear some time at the end of this year after I’ve handed the second of my new fantasy trilogy into Gollancz. « Is Stephen Hunt really JK Rowling?